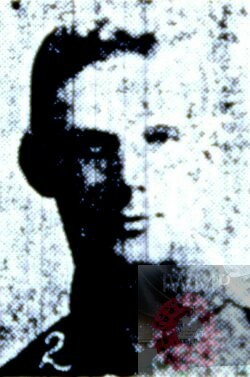 Died: 27th March 1918; age 27; KiA. 1901 18, Chalon Street, Ipswich. Stanley was 9 years old and living with his parents & siblings. Edwin George Cason, 40, a Stone Mason, born Ipswich. Emma Cason (nee Minns) 40, born Bricett, Suffolk. Lily Maud Cason, 20, a Bag maker, born Ipswich. Daisy Ethel Cason, 17, a Tailoress, born Ipswich. Arthur Edwin Cason, 15, a Pupil Teacher, born Ipswich. Violet Emma Cason, 6, born Ipswich. Frederick Charles Cason, 1, born Ipswich. 1911 18, Chalon Street, Ipswich. Stanley was 19 years old, a Shop Assistant – China & Glass. He was living with his widowed mother & siblings. Ernest John Cason, 8, born Ipswich. Stanley’s father, Edwin George Cason, died 1908, Ipswich. Ernest William E. Cason, born April 1916, Ipswich. Soldiers’ Effects to Margaret Cason – widow. Stanley is also remembered on the war memorial under Waterworks at the Town Hall, Ipswich and at St. Peter’s Church, Ipswich. On March 20th 1918 the 7th Battalion were enjoying the start of a rest period but within hours the Germans began a major offensive at Picardy. The division having taken up positions in the area of Busnes, receiving orders during the night of the 24th-25th moved south to the Albert sector. Travelling through the night under clear moonlight sky’s while passing through Lillers German aircraft bombed the town taking advantage of the clear skies. On arrival they were given orders to take up positions along the line of Bazentin-le- Montauban near Fricourt, which was quickly cancelled being ordered back to Albert. 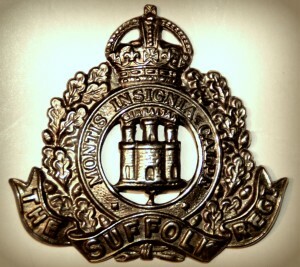 During the morning of the 26th the 7th battalion found itself defending the Albert bridge-heads which had been constructed by the 8th Suffolk’s in 1916. The German offensive had been pushing forward for five days had pushed all British units to the limit and quoted in the records as “a confused and desperate character” with limited supplies, no artillery or mortar support fighting against overwhelming German numbers. The 7th positions ran from the train station 300 yards to the Albert-Amiens road which taking up positions at 15:00hrs dug themselves in. By 16:30 the Germans began to advance in waves a lewis gunner coving the approach at 100 yards cause heavy casualties until it was put out of action. By 22:20 the Germans in strength using mortars and hand grenades crossed the bridge head pushing the 7th out of their forward position, taking just 10 minutes making new machine gun positions in captured buildings west of the bridge. 23:15 “C” company launched a counter attack taking back most of the positions except the bridge head. No.2 Platoon just before midnight with support from the 5th Northamptonshire Regiment attacked the house and the bridgehead but failed to regain both mainly through lack of grenades and fire support pulling back 300 hundred yards digging in new positions. By dawn No. 2 platoon was reduced to just 3 men the Battalion had sustained 256 casualties including 12 officers. The 7th Battalion were withdrawn back to Henencourt to rest. Thinking of you on the 100th anniversary of the Armistice. My generation thank you for the sacrifice you made.